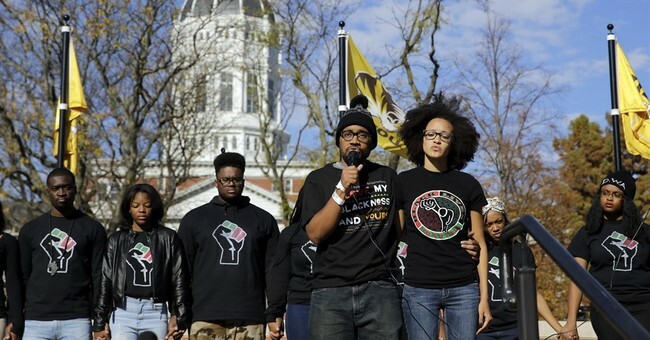 However, in the wake of Missouri University President Tim Wolfe having been pressured to resign last year, after “failing to do enough” to appease student members of the Black Lives Matter social justice movement, it is clear who now has the upper hand; and it is not Emory President James Wagner. Wagner prostrated himself and declared the University would be “taking a number of significant steps” to respond to the Little Darlings in his care. Steps like what -- banning college students from possessing chalk, and declaring the campus a Chalk-Free Zone? Apparently this is what higher education has been reduced to -- a four-year incubator for premature adults. Emory’s pathetic response to the Great Chalk Terror underscores how far it has sunk already. In the meantime – and thankfully -- students for whom college is still about challenging ideas, learning to think, and how to create, have at least one defender in their corner. The Foundation for Individual Rights in Education (“FIRE”), founded by Alan Kors and Harvey Silverglate, actively defends the First Amendment rights of students and faculty on college campuses across the U.S. And, recently, they have been busy.